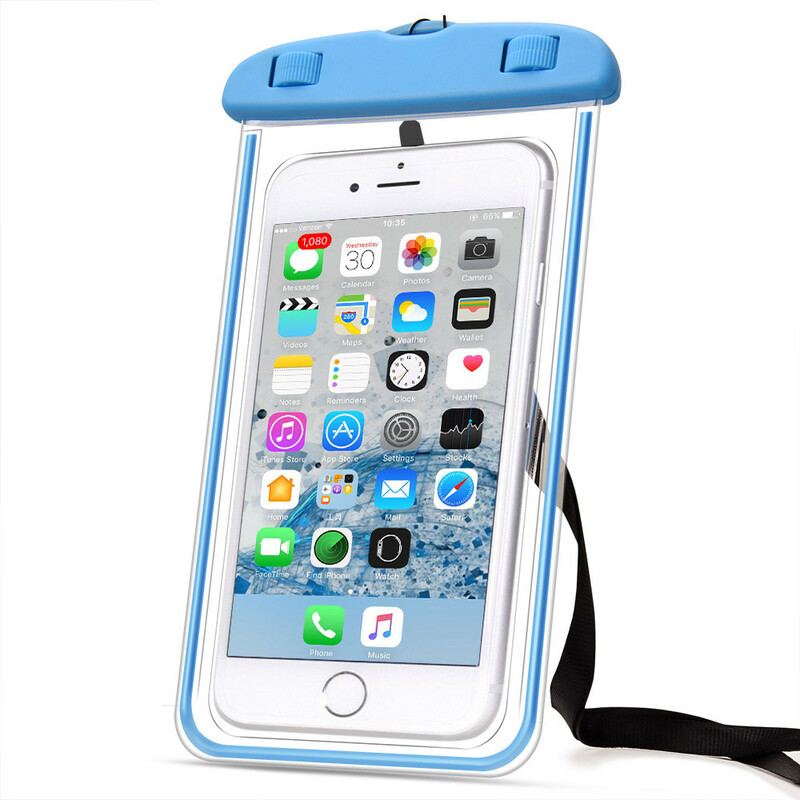 Waterproof, Dirtproof, Snowproof, Shock Absorbing - protects from dust, mud, grease and other contaminants - Floats - Simply squeeze when closing. 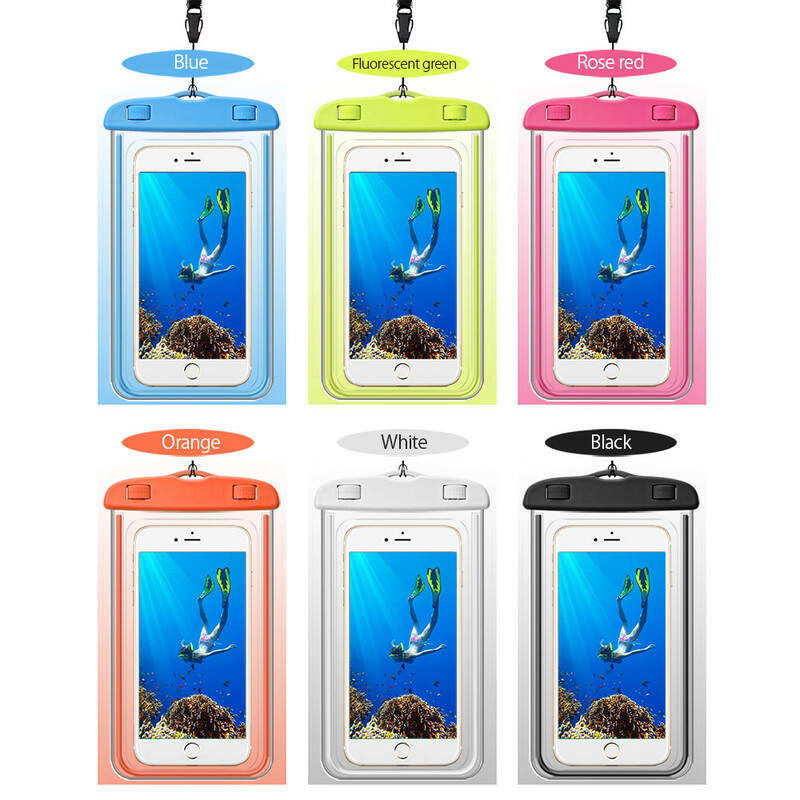 TOUCH & TALK THROUGH DESIGN - Use the touch screens functions and have clear audio while your phone is fully protected. 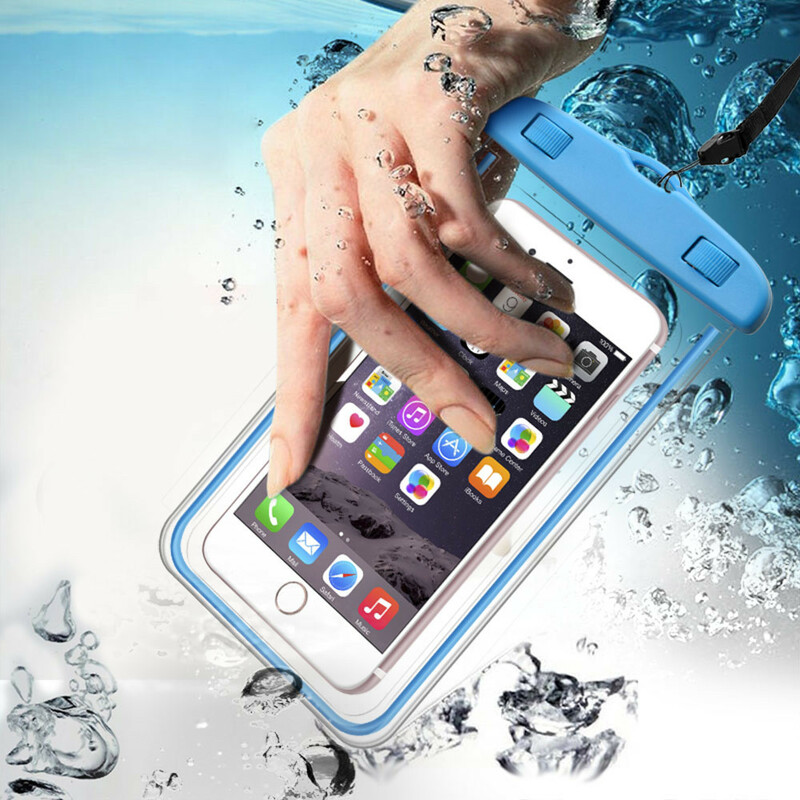 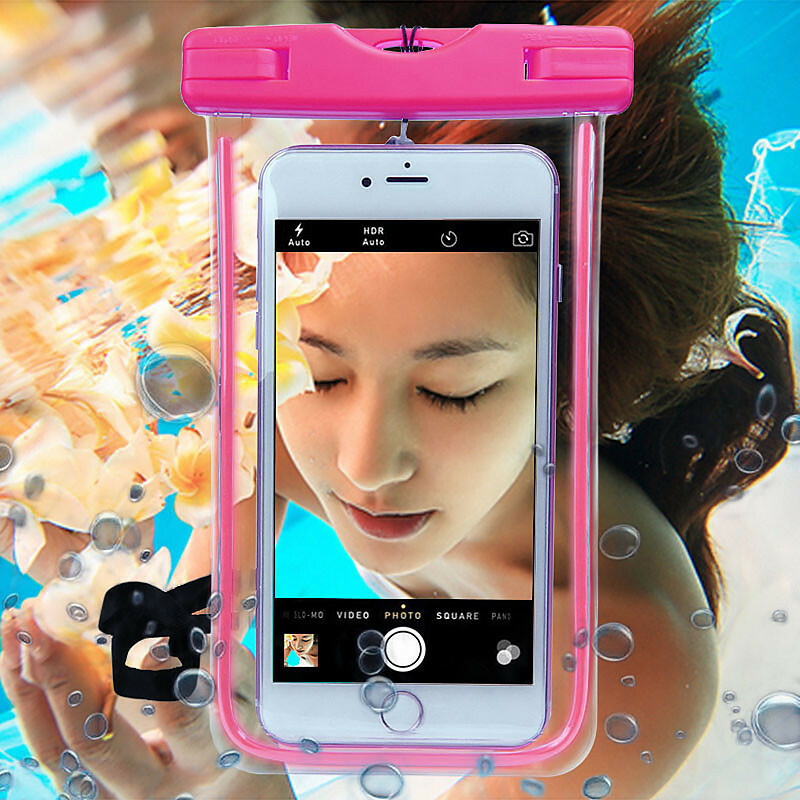 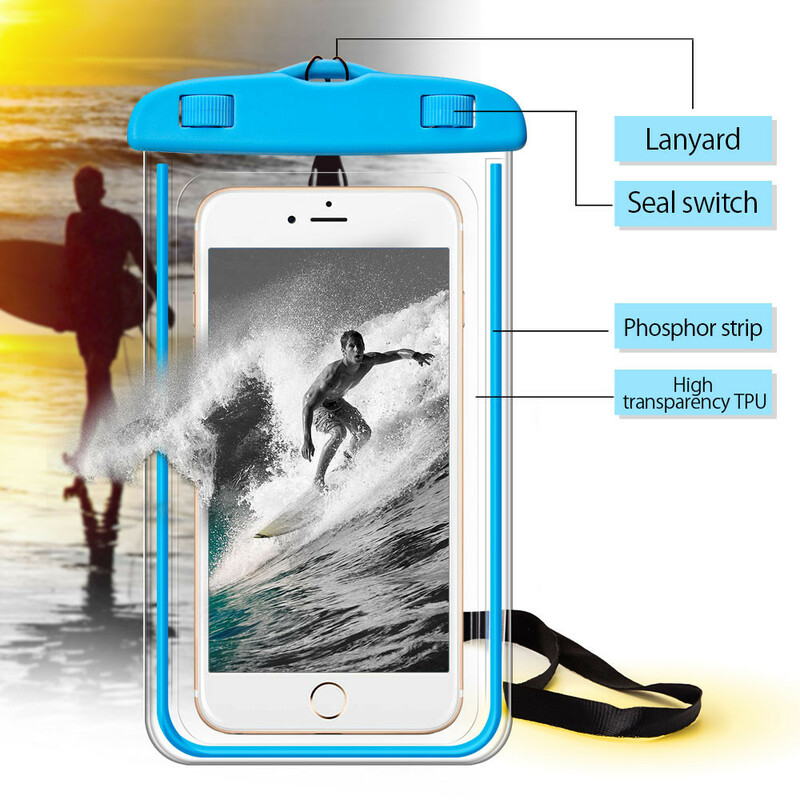 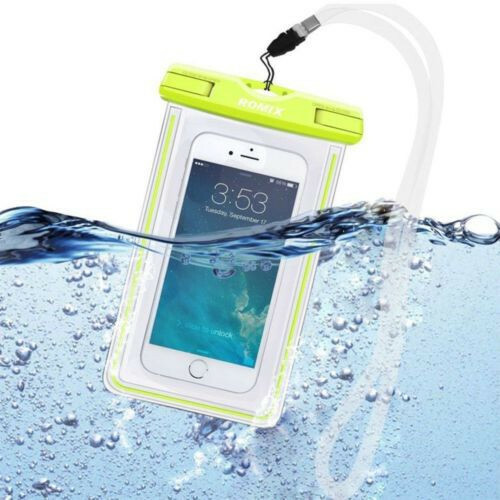 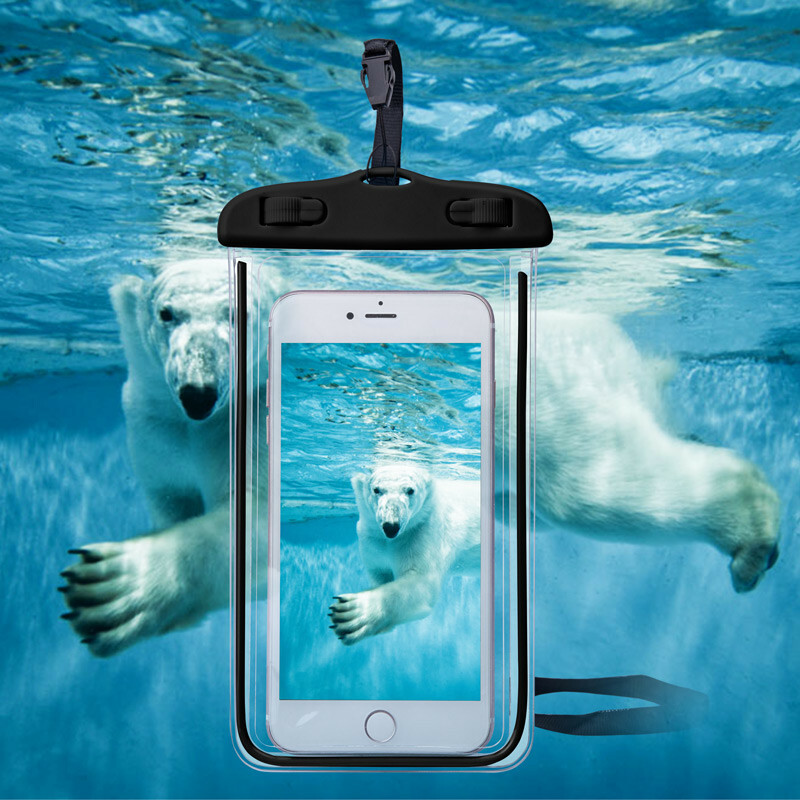 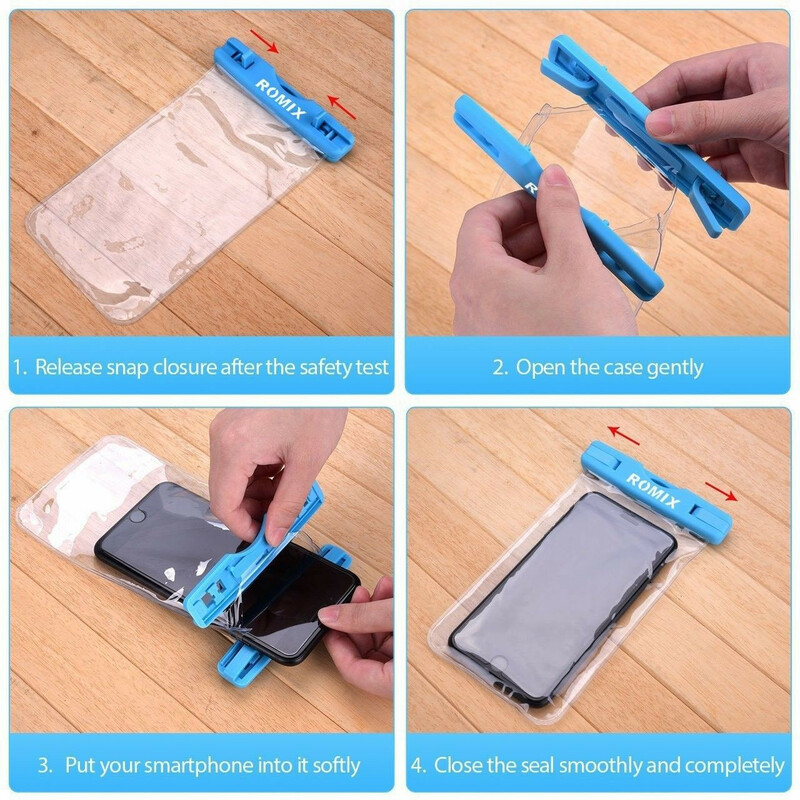 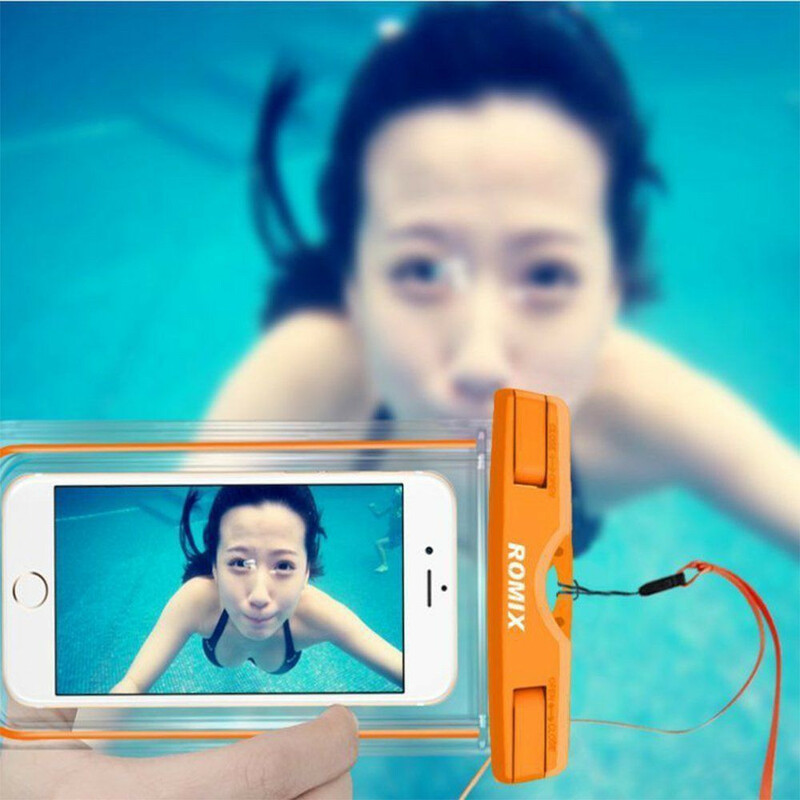 Simply squeeze case while closing to create an air gap between pouch and phone for perfect underwater usage. 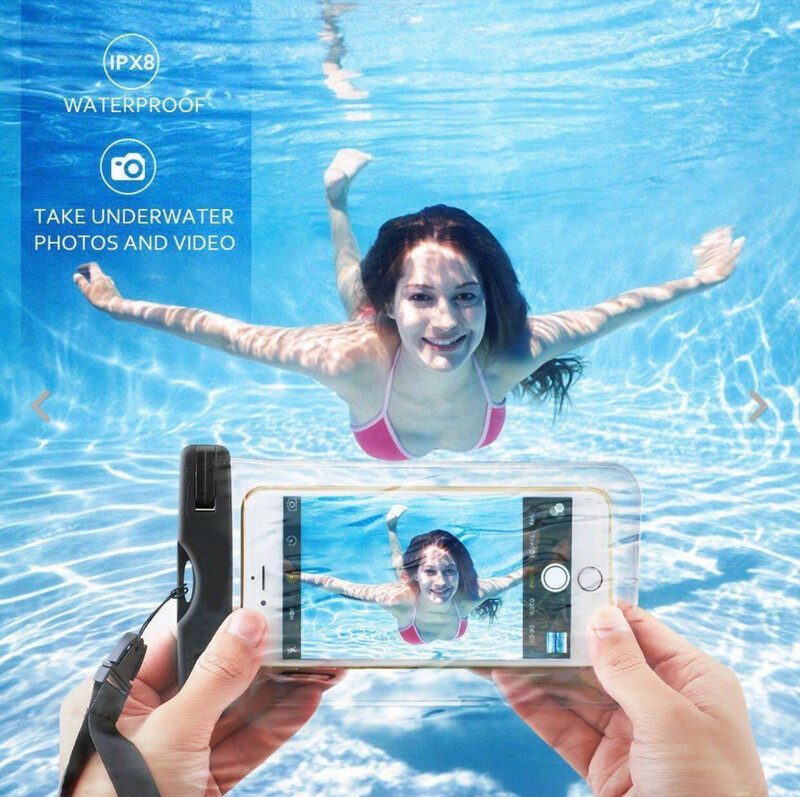 TAKE BEAUTIFUL PHOTOS IN THE WATER - Completely crystal clear design works with any camera location. 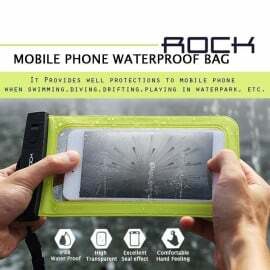 100% CRYSTAL CLEAR FRONT AND BACK - Waterproof, Dirtproof, Snowproof, Shock Absorbing - protects from dust, mud, grease and other contaminants - Floats - Simply squeeze when closing. 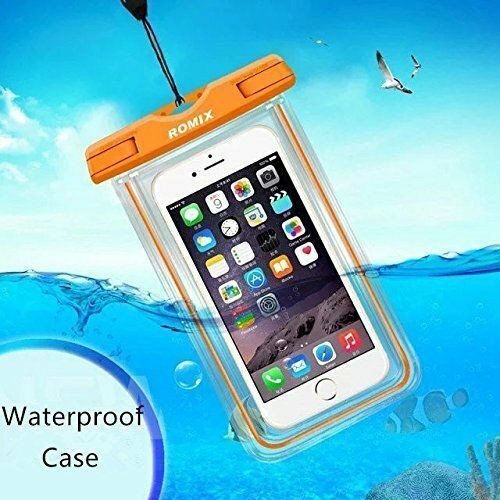 Use it as the beach, Water Park, boating, fishing, and swimming on vacation. 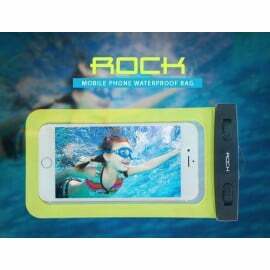 For Model Name upto 5.5"